Melissa Bilyeu is a freelance medical/technical editor who enjoys writing about life in Colorado via her blog, The Handwork Chronicles. Home decor and renovating projects, cooking, knitting, dogs, gardening... all are fair game. Something else Melissa is interested in is beautiful letterpress printing. She became enamored with it while choosing her own wedding invitations and was able to focus on learning all she could about the letterpress process once she had more time after the wedding. 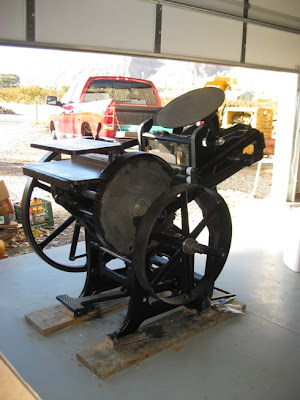 Her first press was a small Chandler and Price table-top model that had been restored by its previous owner, but soon Melissa was ready to take on a big 1917 C & P press. 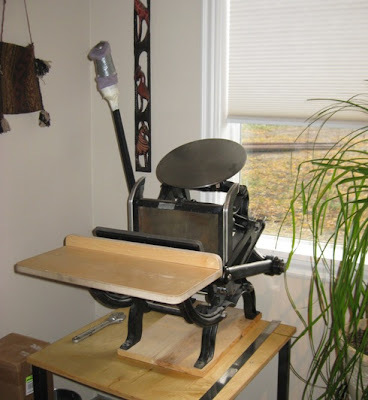 Completely self-taught via books, videos, and discussions with other letterpress printers and enthusiasts at Briar Press, Melissa spent five months refurbishing the press. She now sells her own line of high quality stationery via an Etsy shop, PaperInkPress... elegant and whimsical tags and cards such as these beauties. 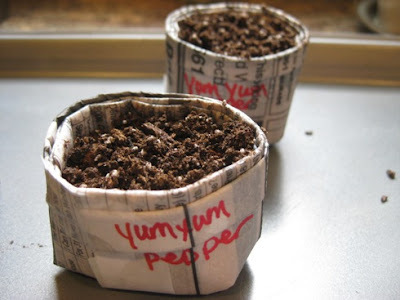 Earlier this week, Melissa's post about starting pepper seedlings caught my eye... Not only because I'm so looking forward to something besides fallen icicles sprouting from the earth around my house, but because she made clever, little pots from newspaper, craft paper, and even toilet paper tubes! Melissa shared a handy tutorial to make the pots that can be found here. Happy planting! Thanks so much for this, Ann! And today I made it offical: Learning to quill is on my list of things to do this year! I can't wait to try all your tutorials. There is nothing quite as awesome as letterpress stationery. That little extra dimension makes a huge difference! wow her cards are fantastic. 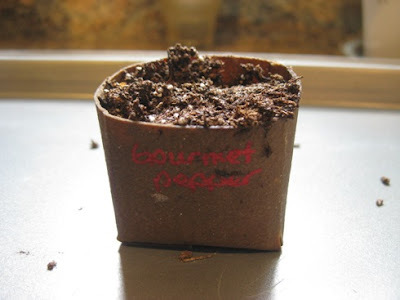 Thanks for sharing this, I have to go check out the tutorial for the seed pots, very cool idea. 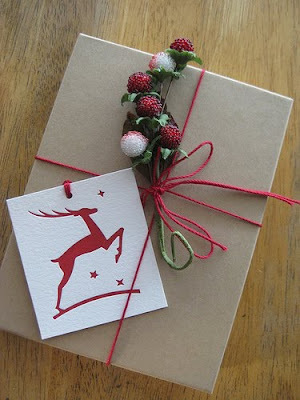 LOVE letterpress! That mountain card is fantastic! Oh but the best thing of all is to get one of these cards in the mail! What a joy! (Not to brag, but my family got the "I Like Your Stripes" valentine From Melissa last week.) How cute, not to mention beautifully done.